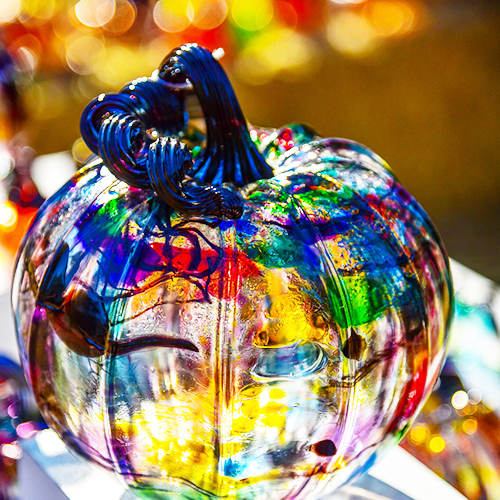 Come experience the amazement of over 3,000 glass pumpkins on exhibit and for sale on the lawn at Los Gatos High School. The Magical Glass Pumpkin Patch brings together ten Bay Area glass artists who feature their work, with a percentage of the sales benefiting Los Gatos High School. Now celebrating its 16th anniversary, the pumpkin patch features a menagerie of hand-blown glass pumpkins and their respective artists. Explore a dazzling array of one-of-a-kind glass pumpkins, along with stained glass works, glass vegetables and fruit, and other glass art. New for 2018 is a special display of kidsâ€™ pumpkin designs â€“ transformed into real glass art. The display will feature each childâ€™s design on paper alongside the glass pumpkin it inspired. And again this year, there will be a kidsâ€™ table, where kids of all ages and can color in pumpkins on paper â€“ inspiring designs for next year. Set on the huge front lawn of the high school, amid rustic hay bales, this is the perfect opportunity to start or build your glass art collection, create an incredible holiday setting for your Thanksgiving table, or find a truly unique, one-of-a-kind gift. All works of art will be available for sale. Youâ€™ll find a range of glass pumpkins and related art to fit all budgets, ranging from $25 to $500. So come and find your perfect pumpkins, while meeting the artists at this family-friendly event. Glass artists include Shelly Monfort, Gigi Erickson, Ken Mollenauer, Shannon Morgan, Curt Walton, Mark Walton, Nick Leonoff, and Ken and Ingrid Hanson. Since 2002, the Magical Glass Pumpkin Patch has donated over $200,000 to the Los Gatos High School for arts and leadership programs. 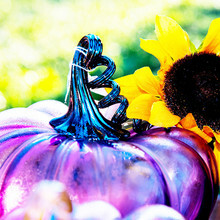 For more information, see the website at http://www.magicalglasspumpkinpatch.com or http://www.facebook.com/glasspumpkinpatch.